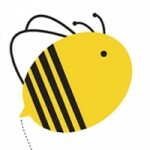 UBC Library and the United Way are proud to present the fourth annual Spelling Bee. UBC staff are invited to join this cross-campus team competition to raise awareness for the United Way. Assemble your best spellers (4-10 people) to compete for the United Way Cup of Victory. Your team will go head-to-head with others from various departments and units across campus. If your team has what it takes to be this year’s ultimate UBC spellers, register by noon on November 12, 2013. For more information about this event or to register your team, contact Harry Young (604-822-3977 or harry.young@ubc.ca). Update: As of 11:22 am, the issue has been resolved. Thank you for your patience. The Library online catalogue and My Library Account services are temporarily unavailable. Our Systems Help Desk is looking into the issue. We apologize for the inconvenience and will post updates as soon as they are available.